Moving through the vast expanse of Australia and spanning four decades, this murder mystery reveals the obsessive love of a man driven to any lengths to protect his family from a past that won’t let go. Unfair beginnings, mistaken identity and deceit are exposed when justice finally prevails. 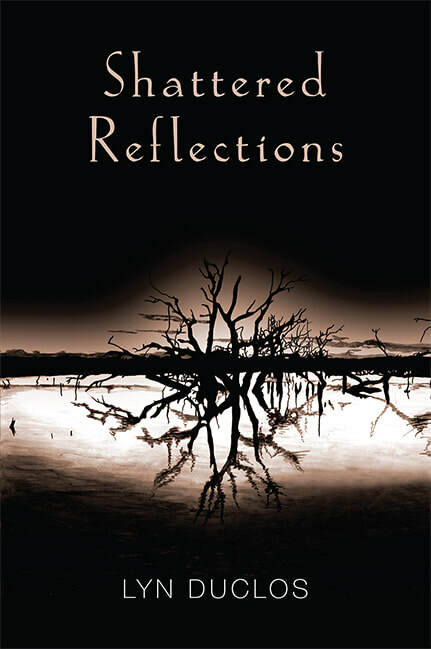 'Shattered Reflections' 2nd edition is now released as an eBook! You can buy it from Amazon by clicking on the handy link here. The print version of the 2nd edition is now available at all major online bookstores. Alternatively, contact Lyn if you'd like a signed copy. Graphic Designer, Danielle Jupp, finished a line art drawing that my son, Andrés Vargas, had begun before he died. 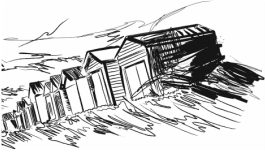 This scene of the beach boxes around Port Phillip Bay, appears at the beginning of Part Two of the novel. Danielle also finished the artwork for the cover design which my son painted in a pen and ink wash drawing during his studies at Swinburne with Danielle.